Durable Medical Equipment — MISSOURI BREAKS INDUSTRIES RESEARCH, INC. 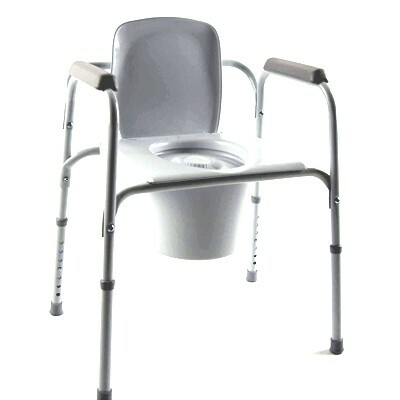 This commode is designed with extra wide, snap-on seat, removable push button backrest and durable steel frame. It offers consumers the strength and comfort they need and suits the needs of bariatric individuals weighing up to 650 lbs. Invacare Shower Chair The Invacare Shower Chair features tool less assembly, all composite construction and a 400 pound weight capacity. The large countoured seat surface of the Invacare Shower Chair provides stable and secure positioning while bathing. The plastic legs of the Invacare Shower Chair are height adjustable with a simple twist of each leg. All steel grab bars mount directly to wall. Each bar comes with mounting hardware and instruction, mounting not included. Mounts 1.5 inches from wall with a stainless steel finish. The Drive Suction Cup Grab Bar is an innovative bathroom safety device designed to help assist users in getting in and out of a shower or bathtub. Ideal for any bathroom, this 12” grab bar should be used on a smooth surface; for best results, avoid porous surfaces as well as placing the suction on a grout line. 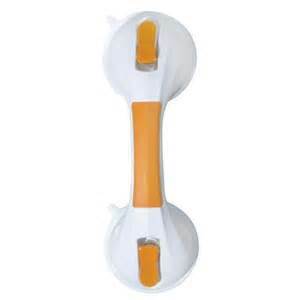 Suction Cup Grab Bars are to be used as balance assist only. They are not for body weight leverage. Swivel seat turns 360° and locks every 90° allowing easier entry to and exit from the bench. Seat glides over polished, high-strength aluminum tubes. Molded plastic seat and back, textured finish. The Invacare Heavy Duty Transfer Bench offers a sturdy, durable one-piece blow molded seat that has drain holes. This transfer bench seat also includes a soap dish and hand-held shower holder. The tool-less removable backrest is ergonomically shaped. This transfer bench has a 400lbs weight capacity. This Drive Deluxe Handheld Shower Spray comes with a wall holder and extra long 80 inch white reinforced nylon hose that provides extra convenience. It can be used as a handheld shower spray or mounted as a traditional showerhead. Invacare® Toilet Safety Products, including raised toilet seats with and without arms, and toilet safety frames, make the bathroom a safer environment for individuals with special needs. The Invacare I·Class tub bar provides two gripping surfaces. The upper gripping position helps consumers enter the tub without turning the wrist or body. 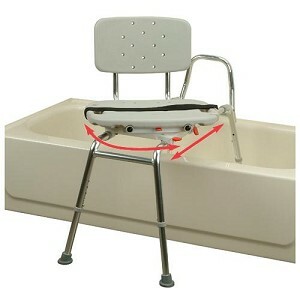 The lower gripping position helps consumers to lower into or rise from a seated position in the tub.